Memoirs of a Madcap Musicmaker Madly Musicmaking and Making Mad Music (Est. 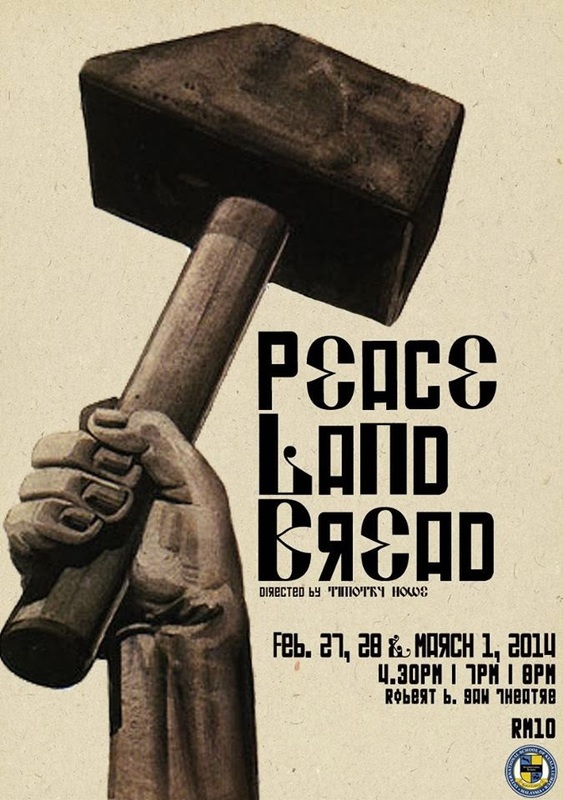 2004): Peace Land Bread-ed! 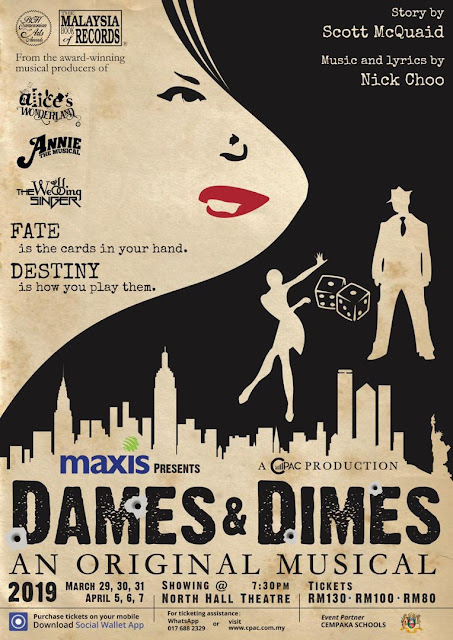 On Saturday, I headed into Ampang to the International School of Kuala Lumpur, where my mate Tim is the theatre manager and was the director of a play that was being performed. 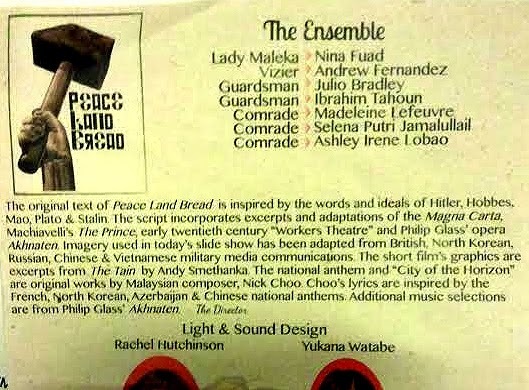 It was a propaganda-themed show called Peace Land Bread, performed by some very noteworthy students. A funny thing happened after the show... it ran for about an hour long, and then there were the curtain calls and the bows and all that; and I proceeded to leave the theatre. 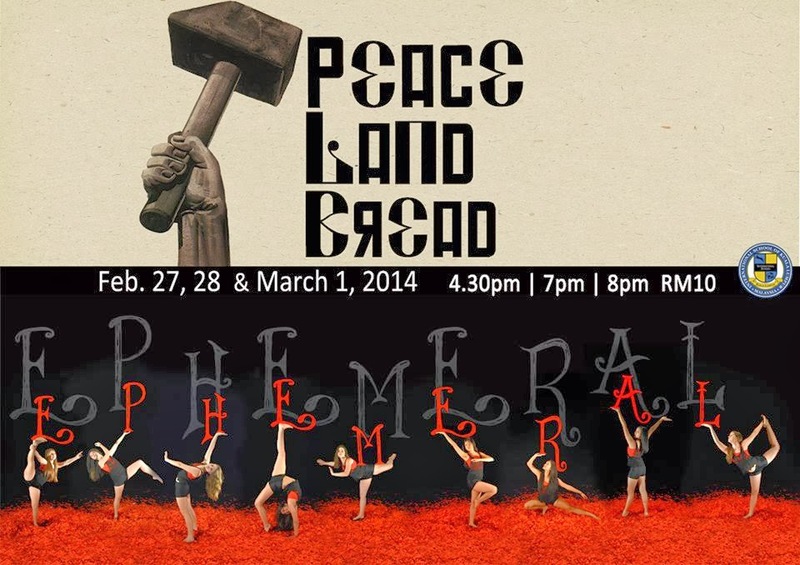 It was only later that I scrutinised the ticket and saw that there was seemingly another title next to the words 'Peace Land Bread'. So I thought for sure that I had left during what was actually intermission, thinking that the entire performance was over for the night!! Later on I told Tim about it and apologised for leaving early... and he told me nope, that was really all there was. Which made me wonder, then, why there'd been seemingly two titles on the ticket. Hmm. I guess that story isn't so much "funny" as it was "befuddling". Oh well. This was how the ticket was presented, which made me think it was a double bill. Hmm. All in all, it was an entertaining production... and the best part (for me, haha!) is that it featured a couple of my songs! 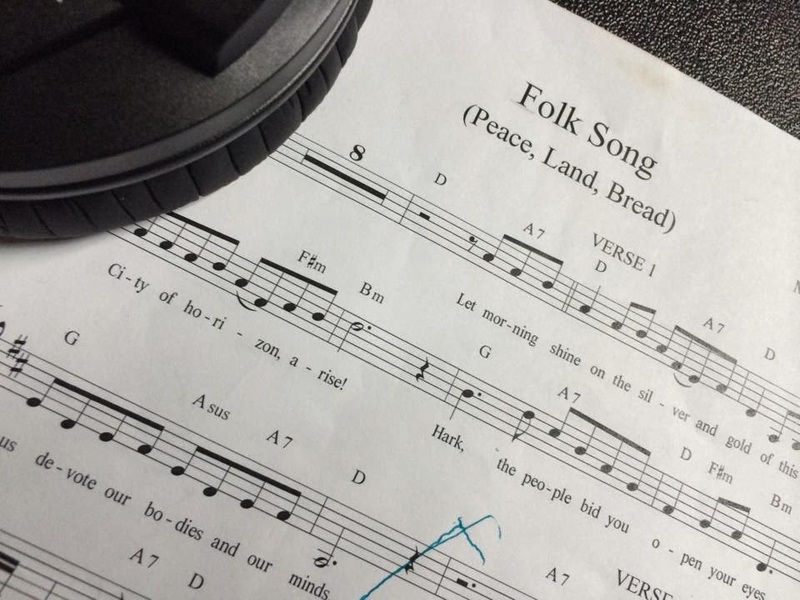 I've shared the Anthem in an older blog post previously, and when Tim sends me the track I'll put up the other song with the female students' vocals. In the meantime, here are the poster of the show, my name in the programme, and a segment of sheet music by yours truly that Tim has used has his Facebook page image! Yay! !